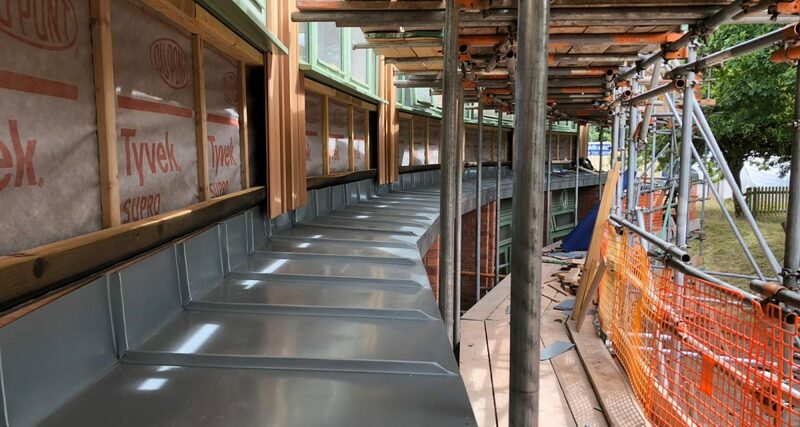 Redhill CE Primary School in Worcester needed a substantial expansion of their school as a result in rising demand for primary school places. 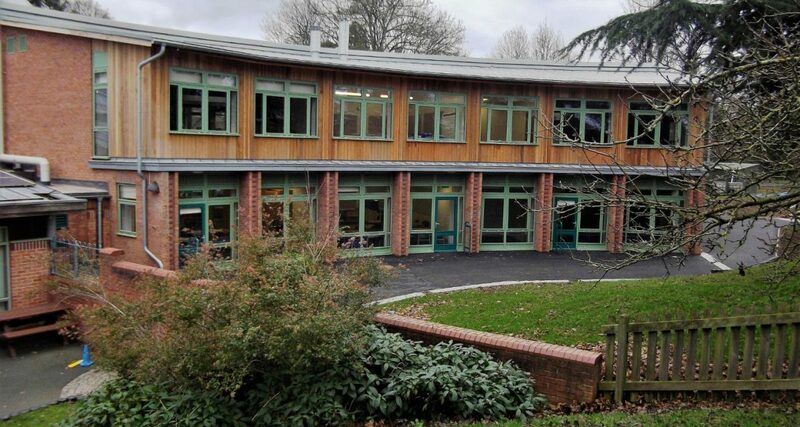 Worcestershire County Council voted in favour of building a two-storey classroom block at the school. 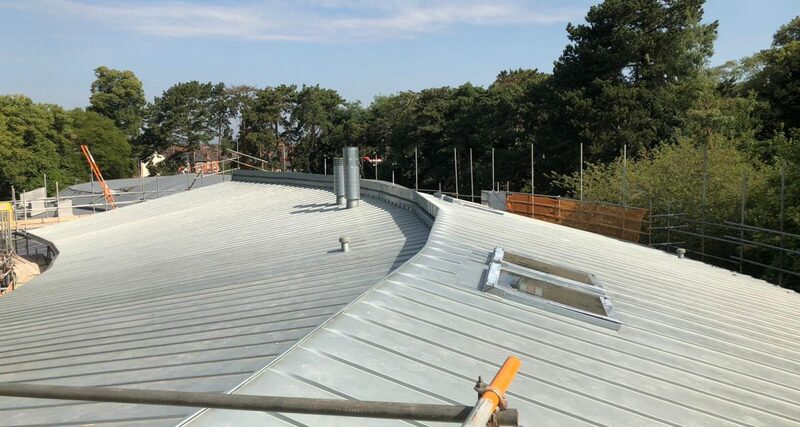 The new block will house six classrooms and enable a further 210 pupils to study at the school. 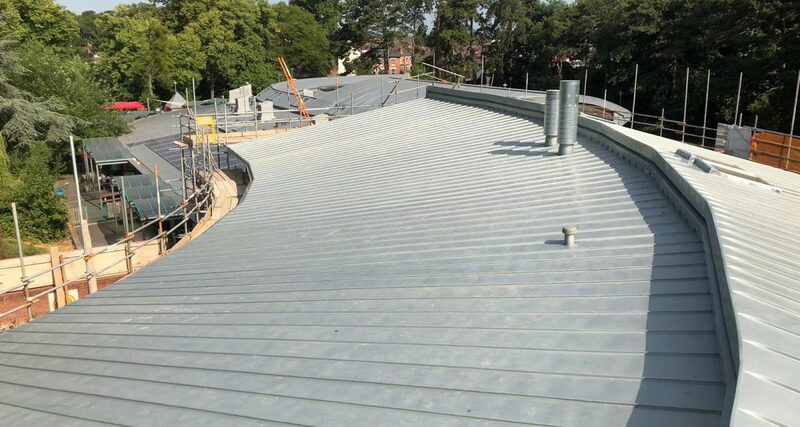 The block was constructed on the school’s netball court, which was rebuilt on a grass play area. 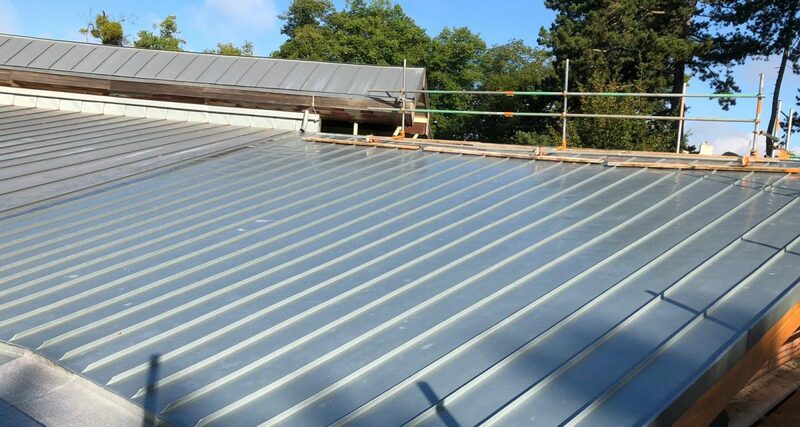 The new community room will be used for a range of activities, including a before and after school club, and will be loaned to the local residents’ association in the evenings. 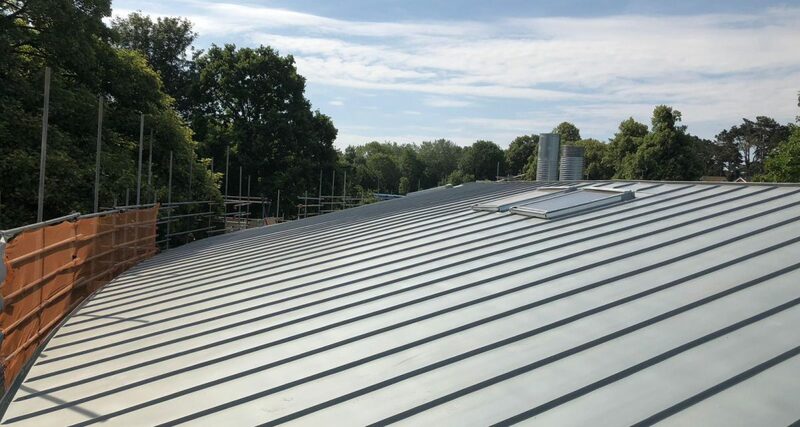 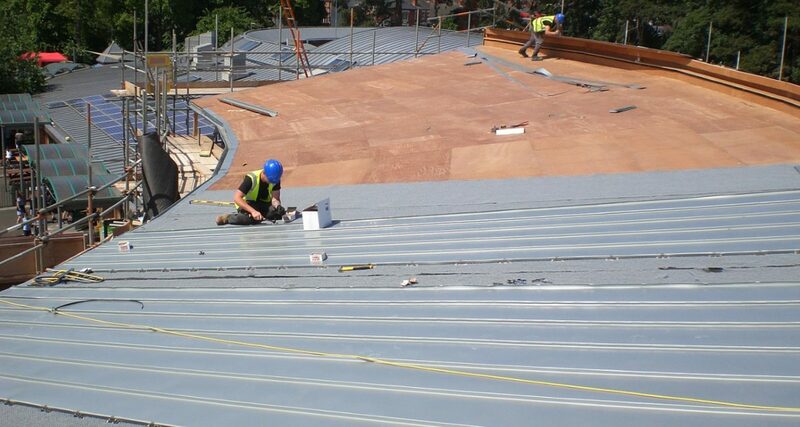 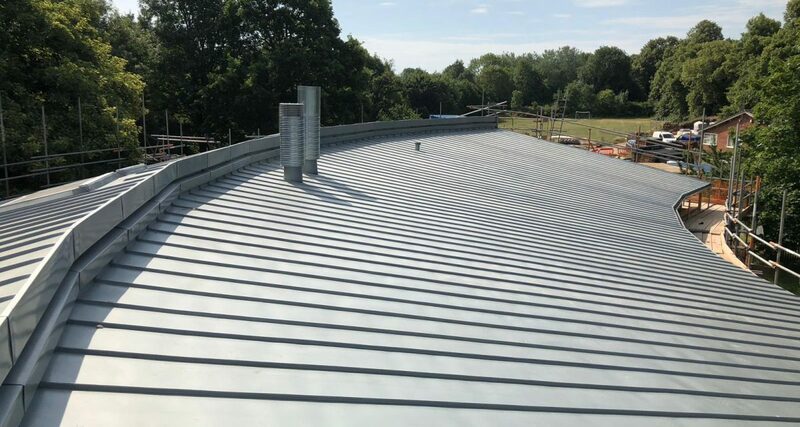 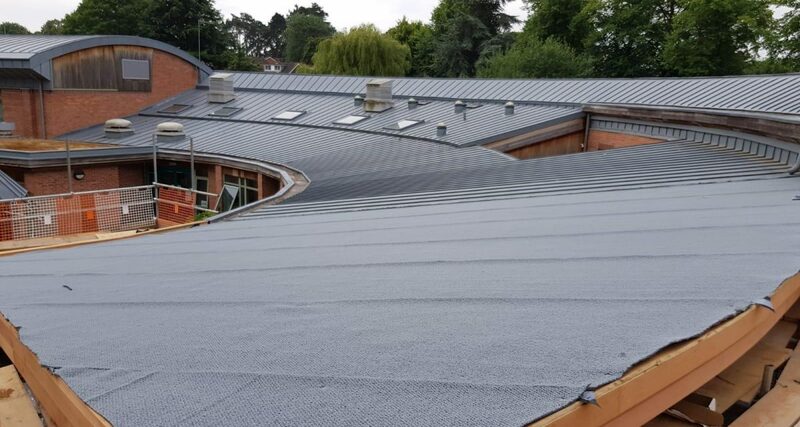 Longworth were appointed by Interclass for the installation of Rheinzink hand-formed tapered and curved zinc roofing, guttering and rainwater goods to the extension at Redhill Primary School in Worcester, designed by Jacobs Architecture and built my main contractor Interclass PLC. 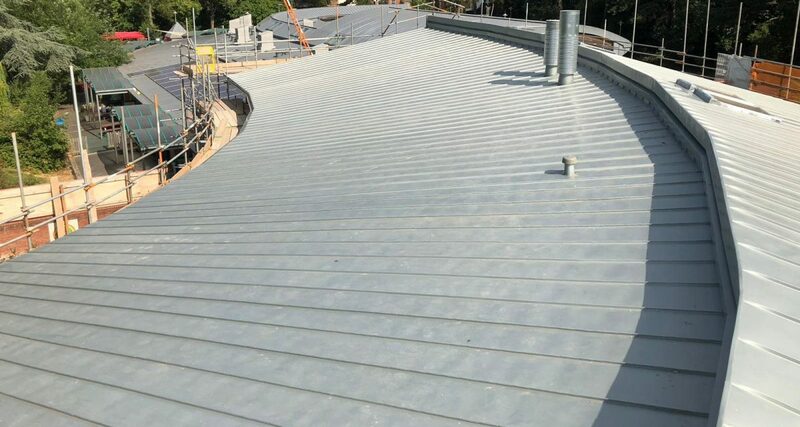 The overall project value was £2.9m with £115,000 attributed to Longworth for the curved, mono-pitch zinc roofing. 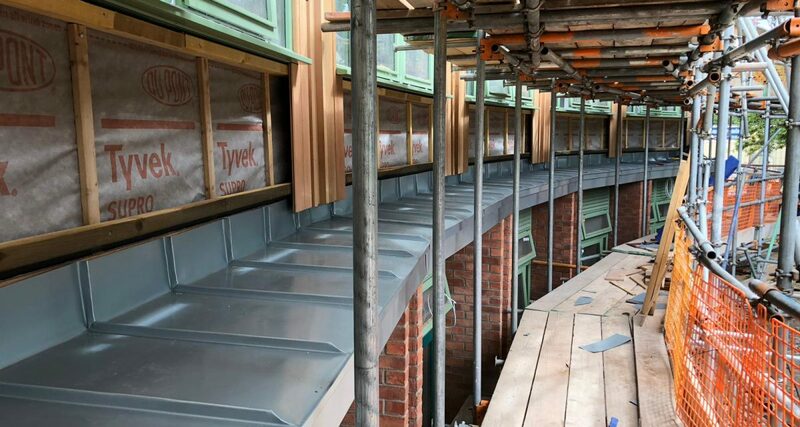 The building achieved its target of BREEAM grading, Very Good. 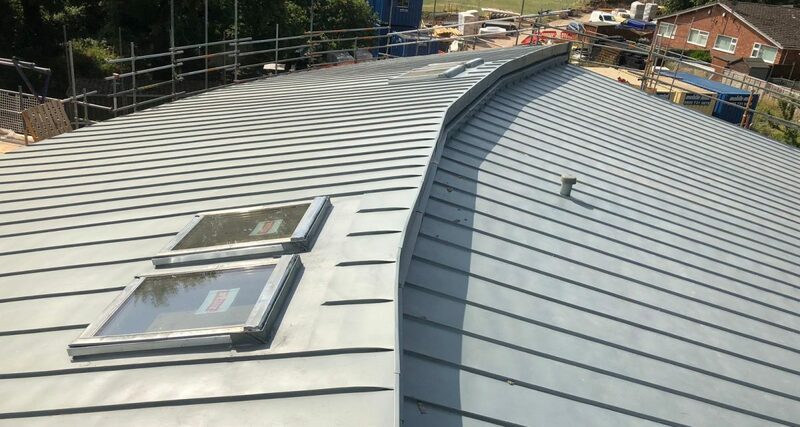 The design brief from Jacobs Architecture was to build a curved, pitched roof in zinc to be in keeping with the curved nature of the existing school building. 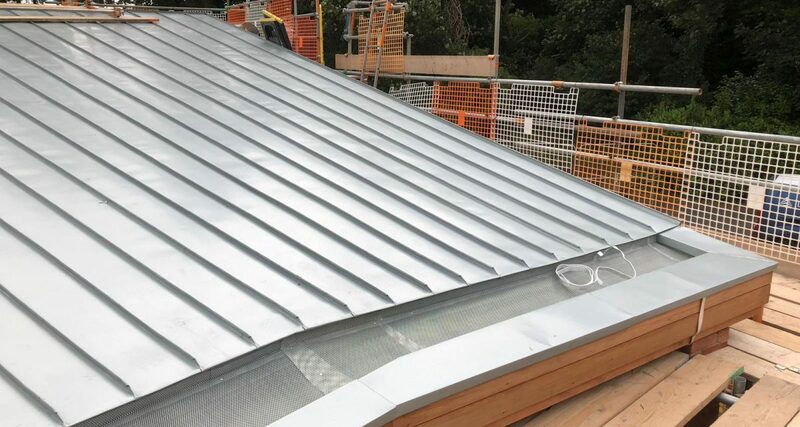 The original drawings showed the zinc panels to be installed as faceted, sectional bays. 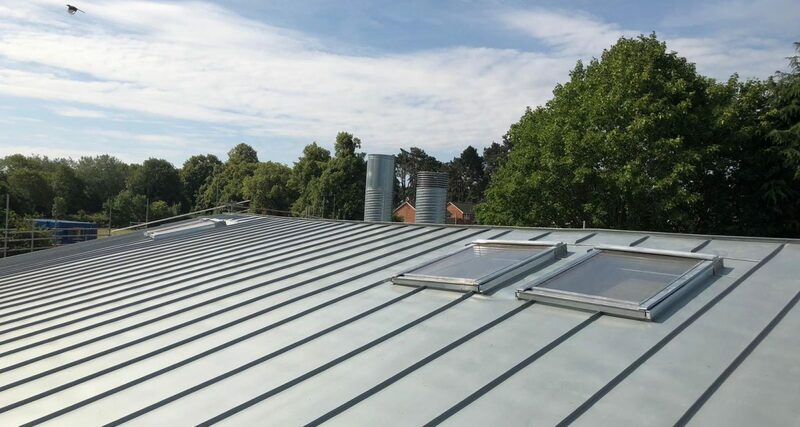 As the design stage developed and Longworth became more involved, it was agreed that bespoke tapered zinc panels would be required to in order to achieve the architect’s original aesthetic vision. 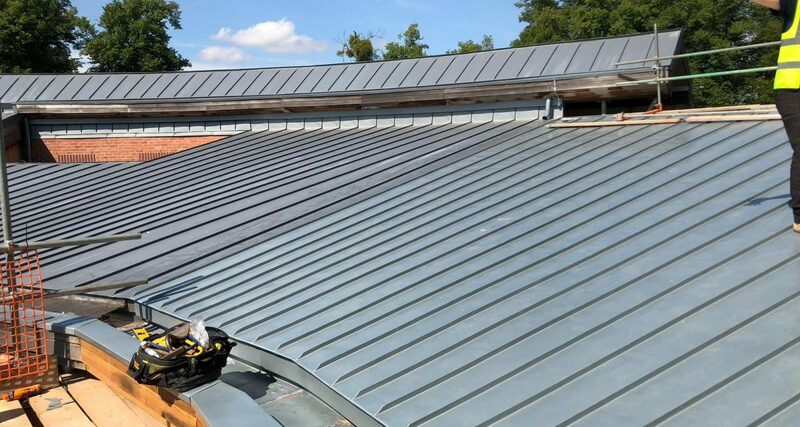 As a result, Longworth’s skilled traditional metal craftsmen had to set out and schedule all of the Rheinzink panels on-site and fabricate each individual sheet by hand in order to maintain the degree of curvature required. 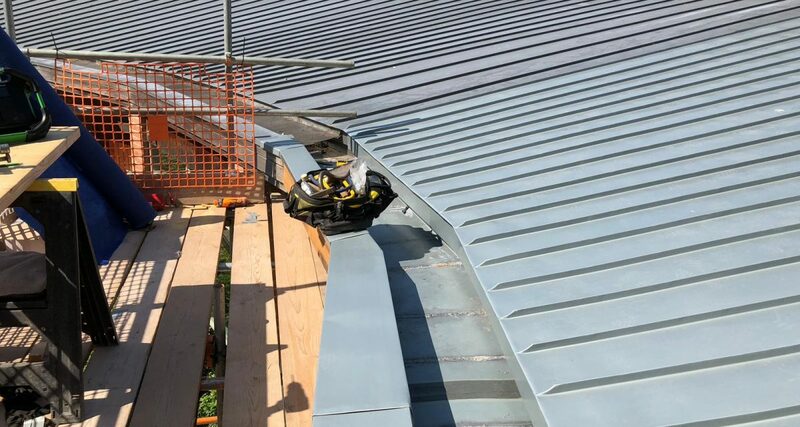 Due to the live nature of the construction site and the tight site boundary, Longworth were not able to have a traditional site set up and instead had to run their operations at the roof level, so it was imperative that the working platform provided a safe and secure environment in which to deliver the project safely and efficiently. 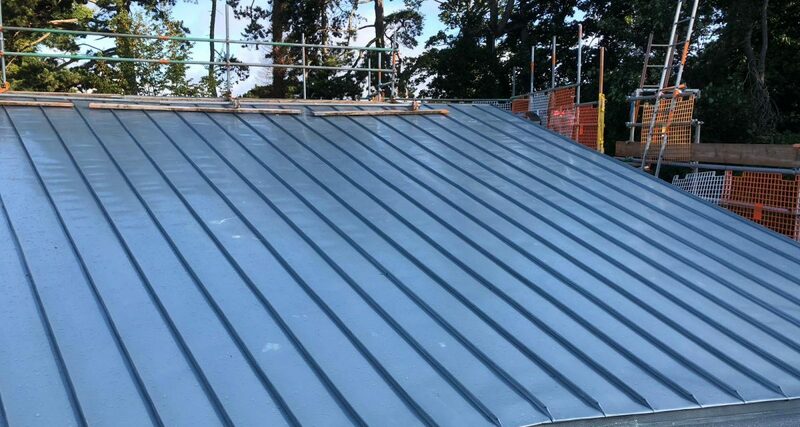 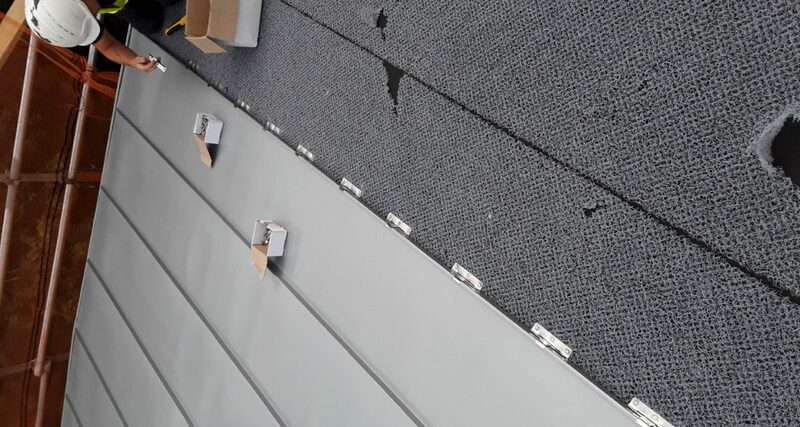 The full scaffold deck was extended to provide a larger area as a make-shift workshop to fabricate each individual sheet of Rheinzink and the edge protection was extended up, giving a more secure working environment and reducing the risk of falling objects when handling large sheets of zinc. 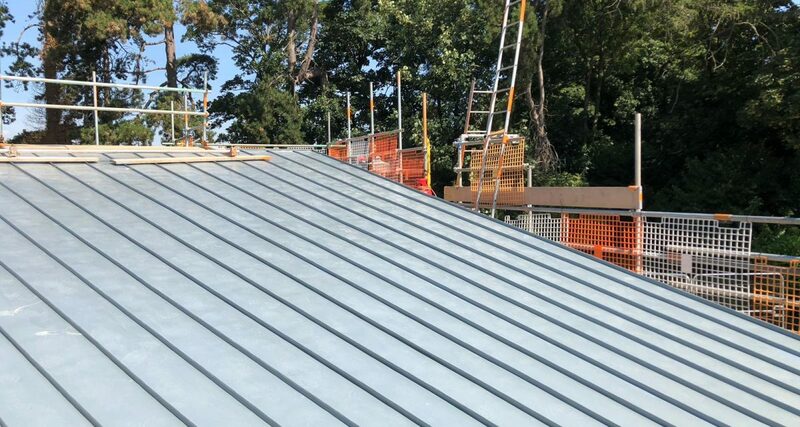 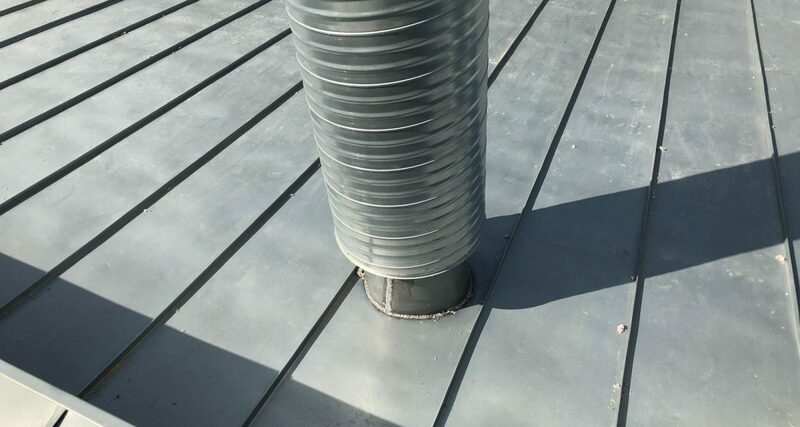 The project was managed by Longworth’s Traditional Metal Roofing Manager, Danny Nelson and Contract Manager, Andy Desmond. 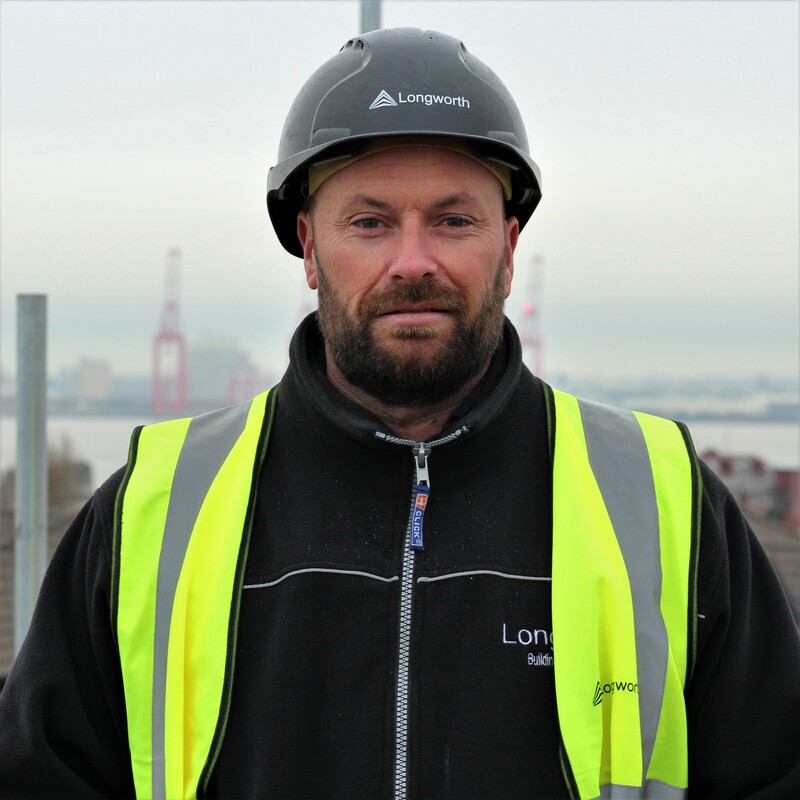 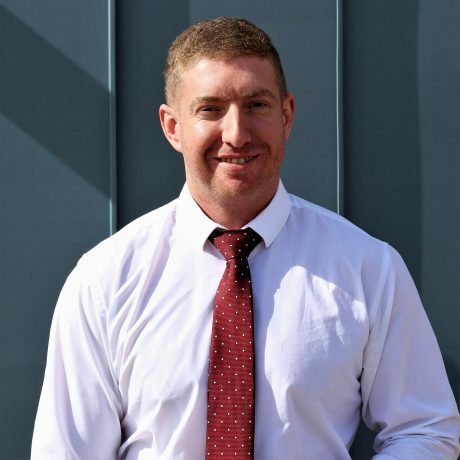 Longworth would like to mention special thanks to lead Architect, Robert Lewin-Jones from Jacobs for the use of his photographs and testimonial as well as Longworth’s traditional metal craftsman, Dave Robson for his excellent site photography.